How on earth do you replace Roger Federer, Rafael Nadal and Novak Djokovic? These three greats of the game have brought tennis’ popularity to unprecedented heights on the men’s side. 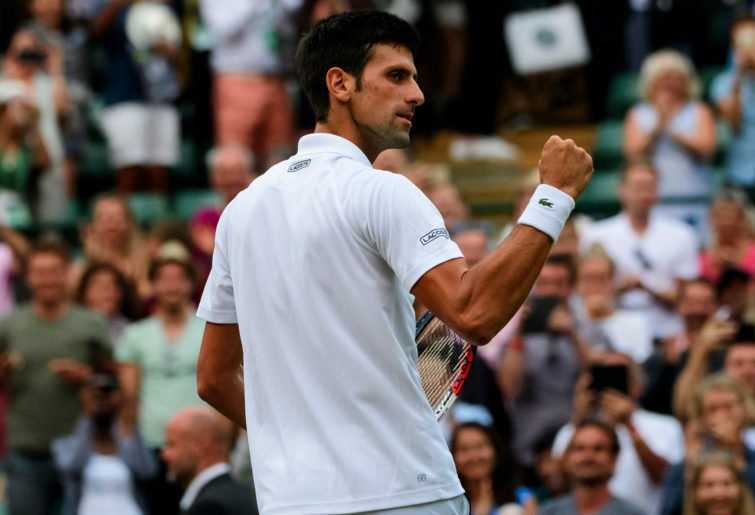 Federer and Nadal are more popular than the Serb, but Djokovic has enhanced all of their legacies as he stormed bastions not even they had achieved. The Swiss Maestro’s unparalleled shotmaking ability, El Matador’s untameable power and brilliance and the Djoker’s brutal and bendy dominance will not be matched for a long, long time. Who offers even a paucity of Federer’s variety, Nadal’s otherworldly spin and Djokovic’s relentless consistency? When the all-conquering trio finally calls it a day, there will undoubtedly be a gaping chasm left behind. Particularly with Federer and Nadal, the pair produced several matches that were seen as some of the greatest of all time. Rome 2006, Wimbledon 2008, Australian Open 2009 and Australian Open 2017 were just majestic. In terms of excitement levels, it is an unenviable task for their successors to get anywhere near those lofty heights again. Although there are a growing list of ‘Next Gen’ players knocking on the door, or with their foot well and truly lodged in said door, can they keep tennis fans interested when Fedalovic finally depart? Alexander Zverev, 21, has been as high as three in the world, has won several masters titles and beat Djokovic to win the 2018 World Tour Finals. Karen Khachanov, 22, swatted aside the Serb to win the 2018 Paris Masters. Most notably and most recently, Stefanos Tsitsipas, 20, beat Federer in round four of the Australian Open and beat a host of top 10 players on his way to the 2018 Rogers Cup final. Among the likes of Borna Coric, 22, Nick Kyrgios, 23, Denis Shapovalov, 19, Danil Medvedev, 22, Francis Tiafoe, 21, they have beaten some of the big three or are heading towards the top 10/15/20. This may give off the verisimilitude of a bright future in terms of quality players, but is it an interesting one? It depends what kind of tennis style you have a preference for. The majority of youngsters these days, on the whole, seem to be getting taller, cover the court better, hit big off both sides and are metronomic in their ball striking from the baseline. Djokovic sets the benchmark in that department, the baseline bit. But even he ventures into the net from time to time; something the youngsters seem reluctant, nay scared of doing. There seems to be an endless conveyor belt of identikit players, who lack variety – which, as the saying goes, ‘Is the spice of life’. When do you see a chip and charge, a serve and volley, or something different from their safe space of the baseline? Arguably, that has been the case for many years, but men’s tennis really does rely an awful lot on Federer and Nadal. Part of the reason why Federer and Nadal are adored wherever they go is that they are polar opposites. A Ying and Yang. The youngsters are all, well… Ying. There are some genuinely exciting youngsters. Tsitsipas and Shapovalov, in particular, are pure box office in terms of the shots they can produce. Lesser imitations of these players may not be enough for fans of Fedalovic. Case in point Grigor Dimitrov. 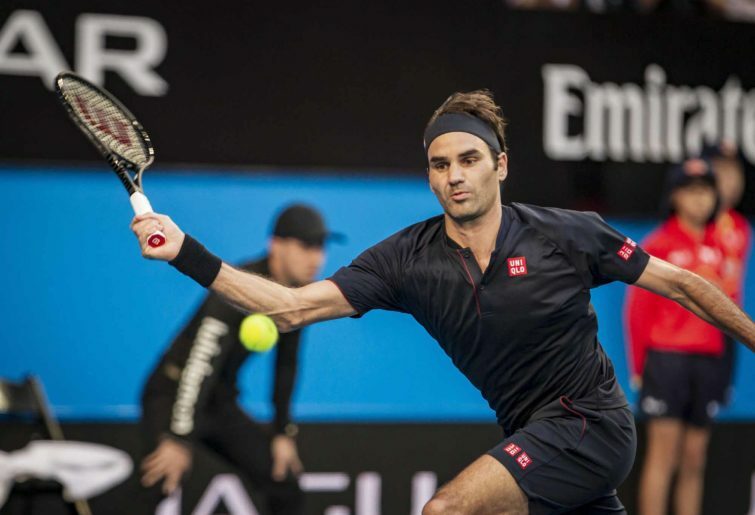 The similarities Federer shares with ‘Baby Fed’ include a single-handed backhand, a familiar serve action and a questionable singing voice – that’s about it. If Dimitrov had won some slams by now, he may have brought in some fans to follow him when Fedalovic go. A player in the mould of an exciting player is still a poor imitation of the real thing. That alone may not be enough to keep the fans in the stadium. Variety will take a big hit when Federer and Nadal retire. But baseline tennis has proven to be very effective, so maybe variety doesn’t matter as much? Why deviate from a successful model? Americans lost their interest in the men’s side when Pete Sampras and Andre Agassi were no longer winning slams. Therefore, there will be a drop off in interest in the sport as a whole when these greats retire. Unless more players with that special variety come along, the future of tennis on the men’s side is not all that exciting.